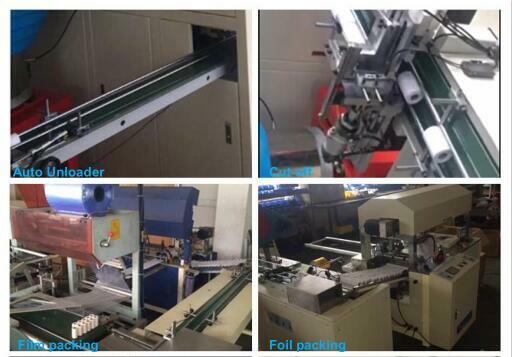 This Slitting Machine is used for slitting thermal paper, such as fax paper, cash register paper, ATM Paper, and other paper less than 250GSM. It is advanced equipment at home and abroad. 2). It adopts Siemens inverter motor, and frequence inverter to control. 3). 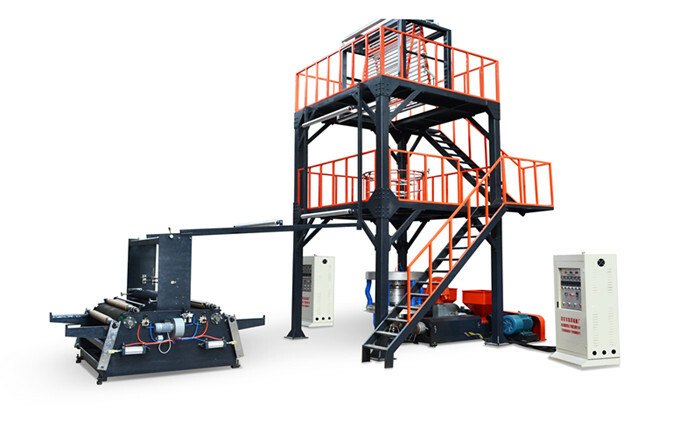 It adopts loading system, controlled by a separated motor. 4). It adopts auto tension controller to keep constant tension. 5). 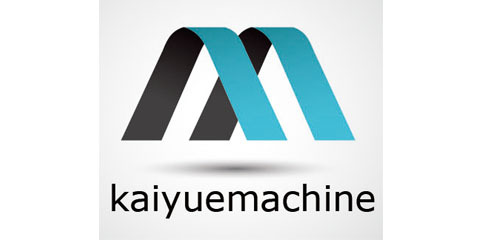 It adopts round blades (16 sets) to slit, and adopts wasting materials edge trimming system. 6). It adopts auto meter counter, when reaching the setup length, it will stop and alarm automatically. 7). All the parts are treated by CNC processing to provide high precision. 8). It adopts red line marking system, printing a red line at the end of paper rolls. 9). It adopts auto tucker to tuck in the paper to cores automatically. Max. Unwinding Diameter	 1000mm /39.37"
Looking for ideal Fax Paper Slitting Machine Manufacturer & supplier ? We have a wide selection at great prices to help you get creative. 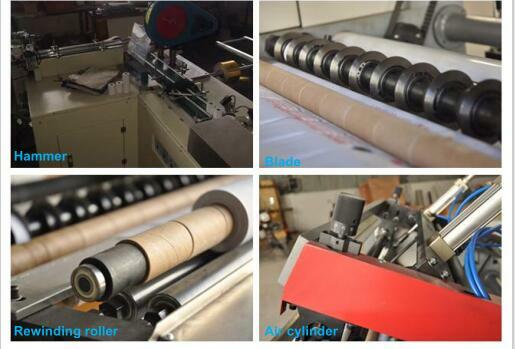 All the Thermal Paper Slitting Rewinding Machine are quality guaranteed. 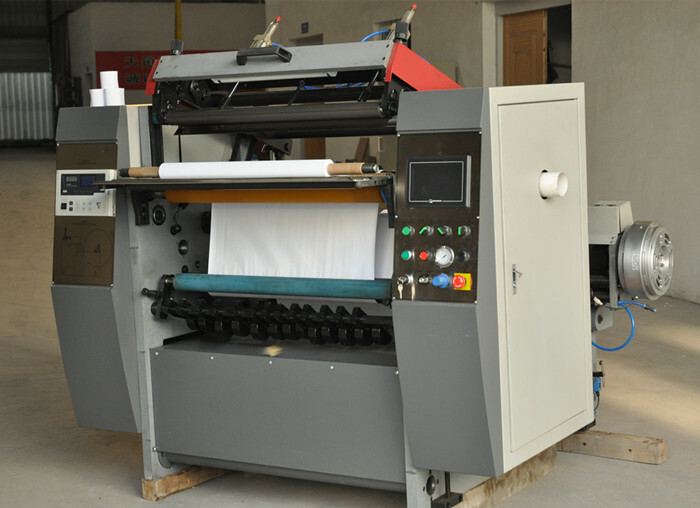 We are China Origin Factory of Automatic Thermal Paper Slitting Machine. If you have any question, please feel free to contact us.